Carrots are unbelievably versatile and uncomplicated vegetables which create wonderfully easy but delicious side dishes, salads and soups. They never cause a hassle, always sweet and strong, they aren’t very sensitive to prepare. 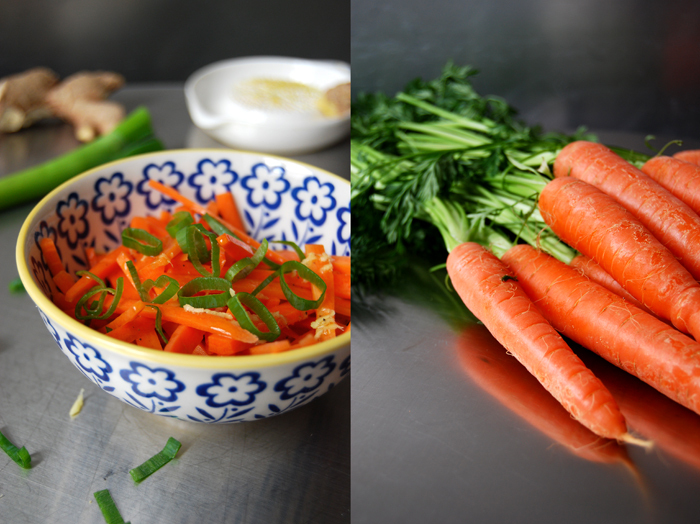 When cooking fish or meat that demands all your attention, the carrots are patiently waiting on the side in their pot not loosing any of their qualities when left cooking a bit longer. The same goes for salads, you can mix them with the strongest flavours, go overboard with lemon, spices or herbs, no problem, this little orange root will manage! I’ll go easy on them in my salad, I just add some freshly grated ginger (1 1/2 tablespoons) to my dressing, made of 2 tablespoons of olive oil and 1 1/2 tablespoons of fresh lemon juice, some salt, pepper and 1/2 a teaspoon of sugar. 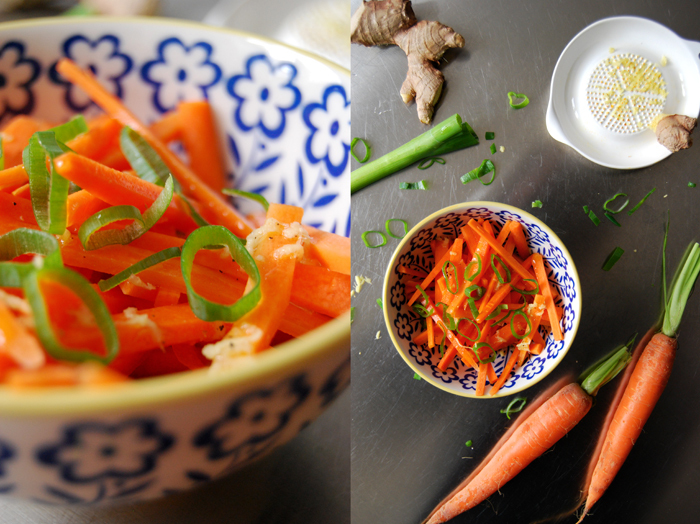 4 carrots peeled and cut into julienne are enough for a side dish for 2. 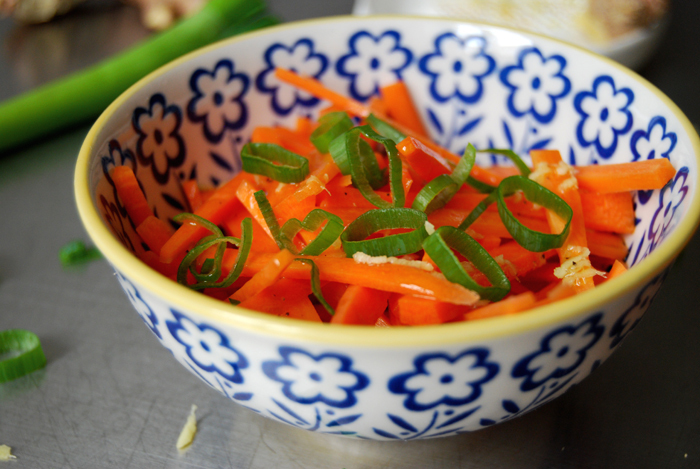 Half a spring onion cut into thin slices sprinkled on top adds a bit of spiciness. The carrots still have enough space to show their sweet side. I am totally making this tonight. Great picture, too. Thank you Yuka,I hope you enjoy it!